Eazi-Grip is a specialist U.K. manufacturer of high performance motorcycle tank grips. Eazi-Grip works in close association with leading teams in the BSB & WSB paddocks and has developed two unique tank grips (Evo + Pro) that have been designed specifically with one purpose in mind – to assist in better bike control. This Eazi-Grip Evo tank grip was launched in 2011 and features unique hemispherical traction domes that offer high levels of grip, combined with exceptional rider feel. Working closely with feedback from leading BSB riders, the Evo tank grip has evolved to the stage where it is now the product of choice in the paddock. Eazi-Grip tank grips have been specifically designed to assist in better bike control, enabling a rider to maintain a stable body position during cornering and braking, while also relieving rider fatigue. 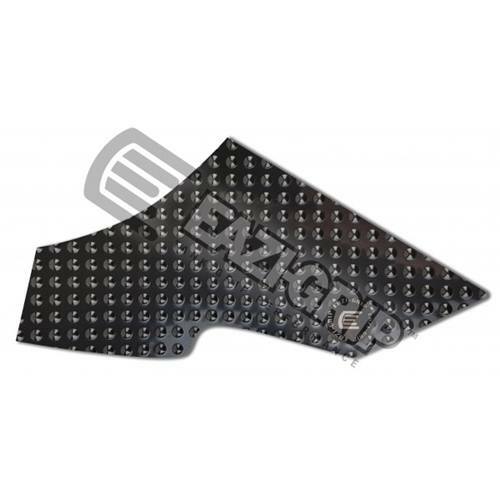 Eazi-Grip tank grip traction pads are supplied pre-cut to fit a wide variety of bikes. For more unusual applications we also supply universal sheets that can be cut to the required profile. Eazi-Grip tank grips are available in black and clear. Eazi-Grip tank grips are easy to install with very little prep work, and can be removed if desired as well. Eazi-Grip performance tank grips have a soft but durable surface. Eazi-Grip tank grips and are manufactured using polyurethane, a highly flexible synthetic material renowned for its strength and durability. In comparison with materials such as rubber and pvc, polyurethane has excellent anti -vibration properties, will permit heat dissipation, has a superb coefficient of friction, and being 100% UV resistant will not yellow or harden with age. Sample image to show shape of product. Your actual product may vary slightly. 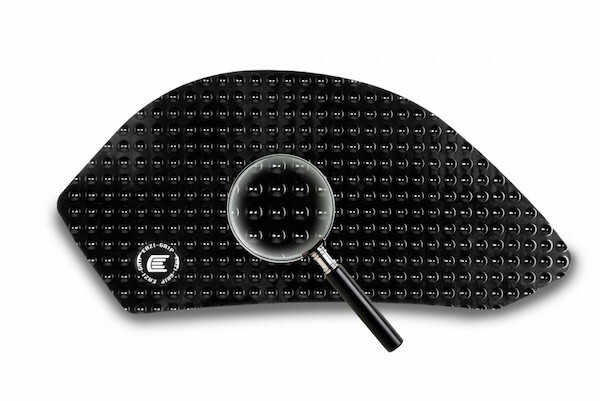 Sample image below to show close up of Eazi-Grip Evo surface. Add a Tank pad to your Tank Grip purchase for only $8.98!